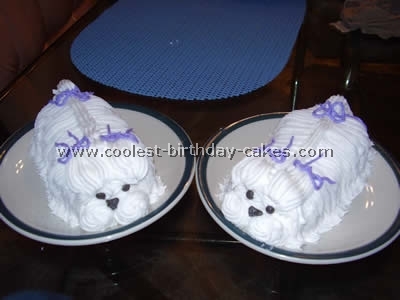 I got this idea from the Wilton website baby cakes section. I used the stand up bear pan and a round pan to make the cake. 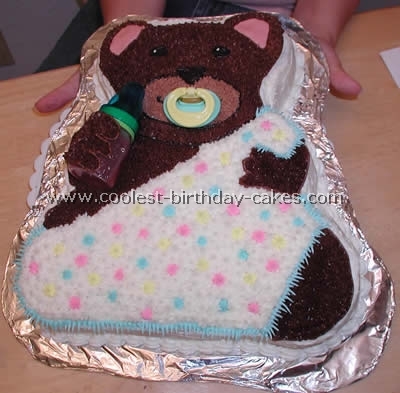 I frosted the bottom first and then put the bear on and frosted the smooth parts first. I used two shades of brown for the bear. The safety pins are from a craft store. 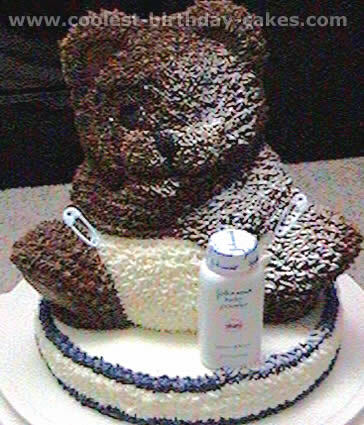 I sprinkled powdered sugar on the bear to make it look like he had gotten into the baby powder. 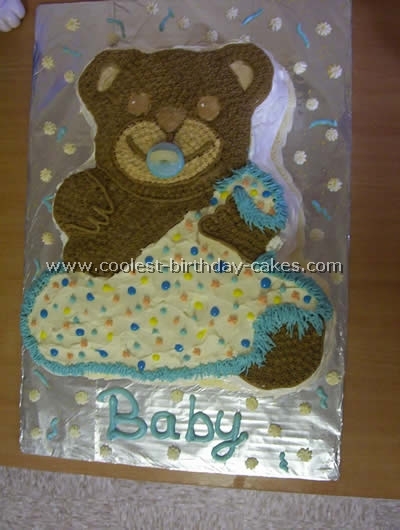 This is a Wilton bear cake pan with 1-1/2 cake mixes. 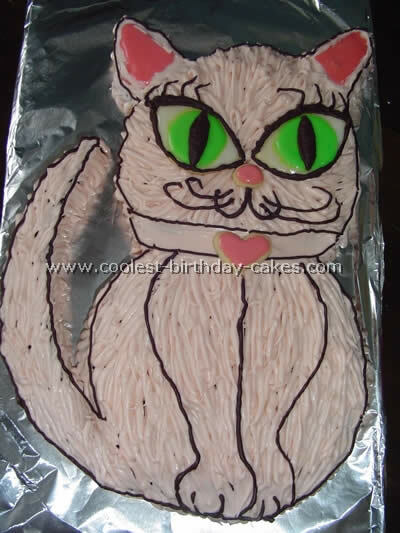 I used buttercream icing for the cake. I used a real pacifier and the bottle is a sour candy bottle for kids in the candy section. I made one for a little girl and one for a little boy by changing the color of the blanket edging from blue to pink.